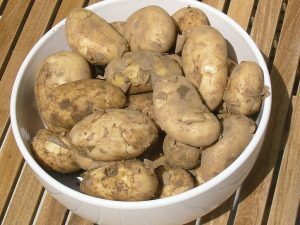 Nicola is a dream potato for the amateur gardener. Excellent steamed/boiled and served hot or cold in salads. Bred in the early 1970s Nicola is a relatively new salad type – perfect for eating with the skins on. 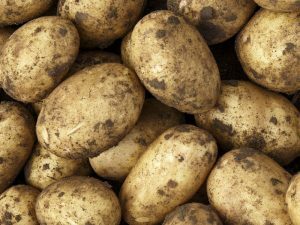 Beautiful thin smooth skin they have too, very clean looking spud. 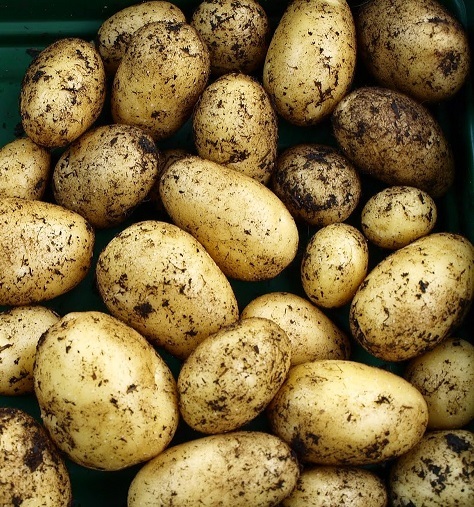 Nicola is also a top Christmas growing variety. 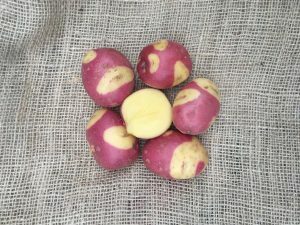 Plant the seed potatoes in August and you will be harvesting fully grown potatoes from late October to December. 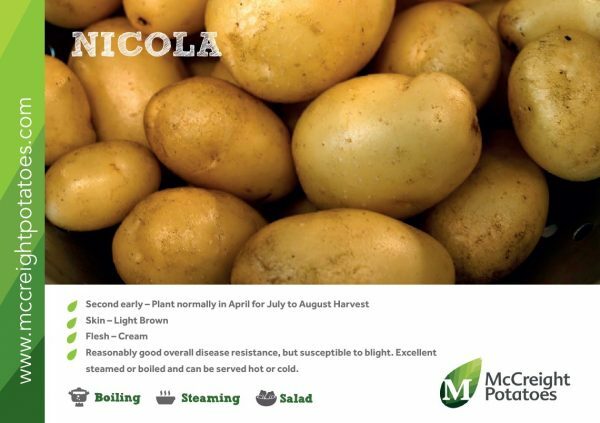 Nicola is a second early potato with well-shaped oval potatoes. 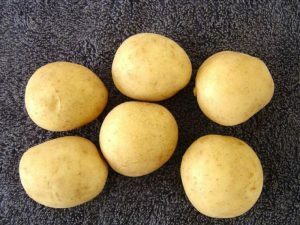 The skin is thin and very light brown with cream coloured flesh. 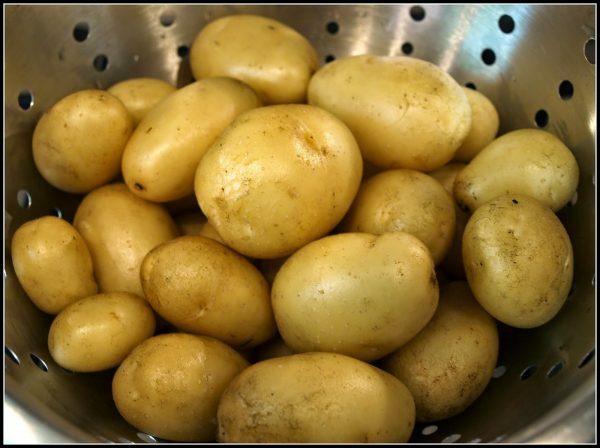 It’s one of the best tasting new potatoes and is superb hot or cold. Keeps well in the ground for a month or so longer. Reasonably good disease resistance overall, unfortunately it is susceptible to blight.